In our house we love all the excitement of Christmas, but amid all the decorations & busyness, at the heart of our Christmas celebrations is the Nativity. 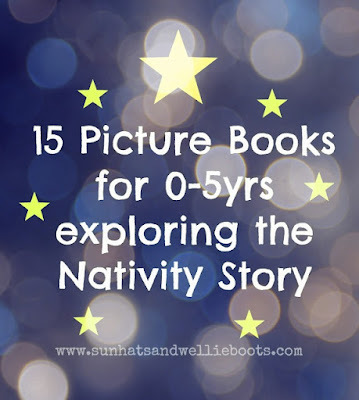 Since Minnie was a baby we've shared the Nativity story with her in a number of ways, each year trying to make it as accessible & age appropriate as possible. 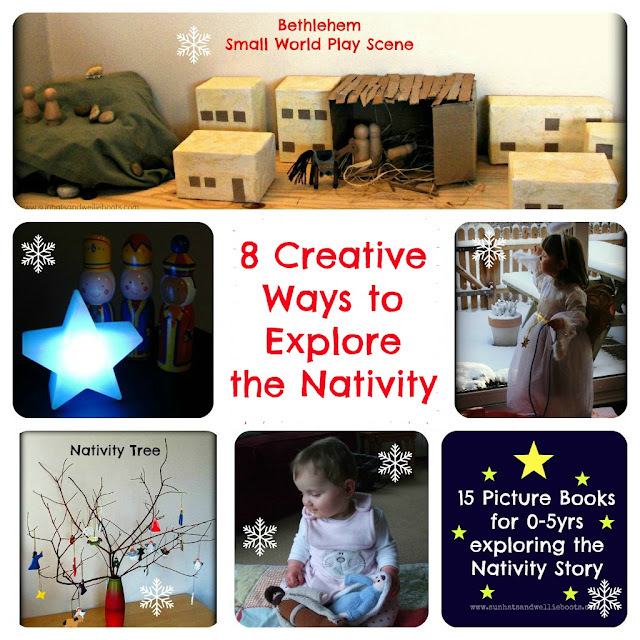 Here are 8 simple ways in which we've explored & shared the Nativity Story together, some of which have now become family traditions. 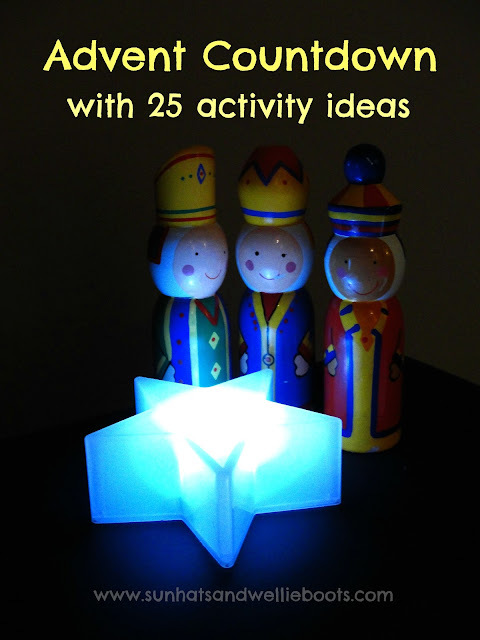 Ideal to explore during Advent, & a simple way to encourage children to explore the key characters from the story. Make your own Bethlehem Small World Play Scene. Made from recycled boxes & toy figures, it's a fun play space to make together, & offers lots of storytelling opportunities. 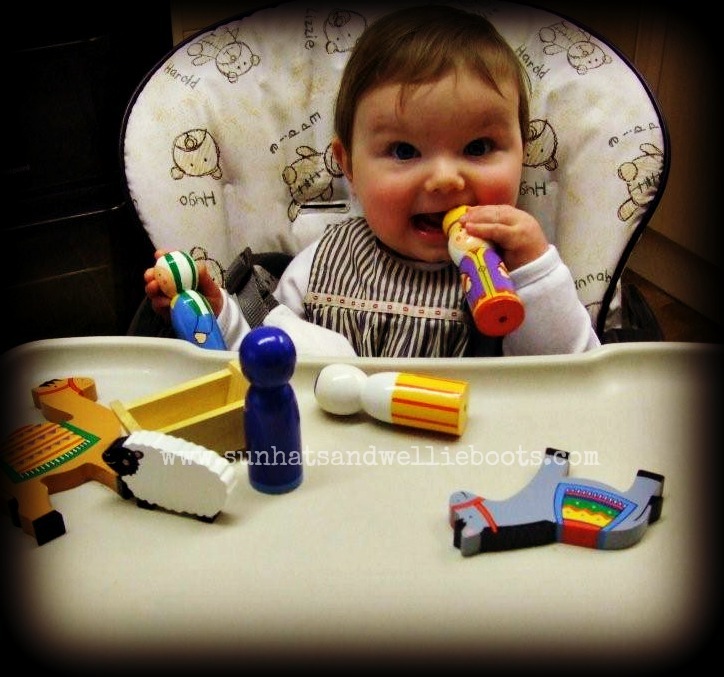 Set up a Crib Scene to play with at home or in your classroom. Here are a few homemade crib scenes that we love. The best crib scenes for children are of course the ones that you can play with... or chew! 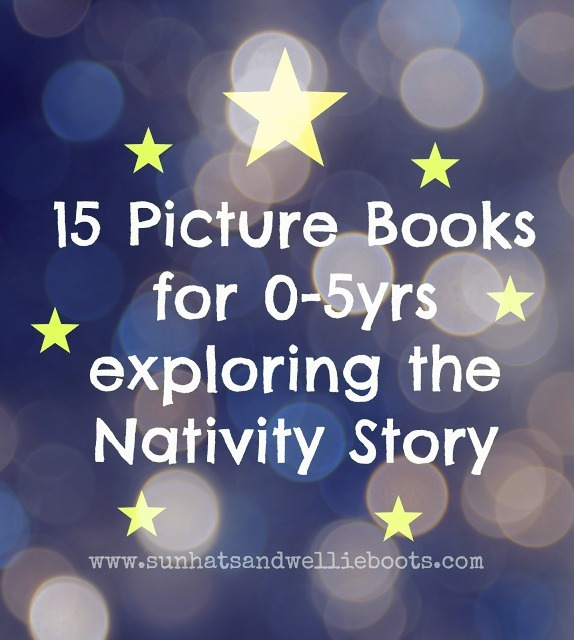 Read Nativity Story Books together. One of the nicest things at this time of year when it's cold outside is to snuggle on the sofa together with a hot chocolate, blankets, cushions, & Christmas books. 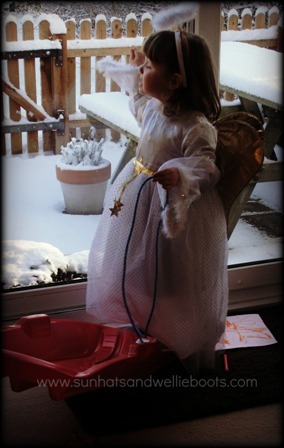 Dress up as one of the characters from the Nativity. A great opportunity to play out the story, consider & explore emotions, encourage imaginative play, & encourage storytelling & recall skills. 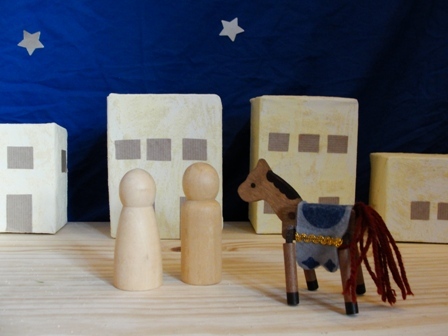 Explore the Nativity story from the beginning of December with an Advent Box. 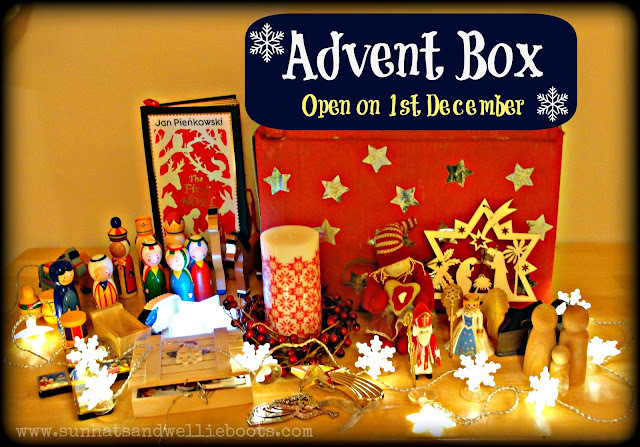 This box is filled with toy figures, Advent lights, books & more, all of which encourage children to discover the true meaning of Christmas. Place a crib in your home. 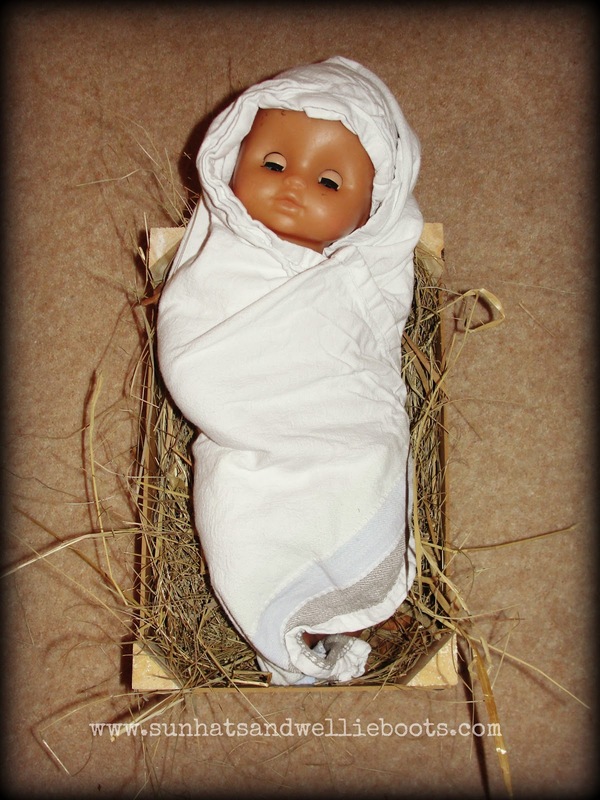 Create a simple manager using a shoebox or other basic container & add a baby doll. We made ours from a small wooden fruit crate, a handful of straw, & used an old tea towel as swaddling bands. Not only is this a great play set-up, again encouraging more open-ended play, but it also reminds us of the hospitality & welcome especially during this season. 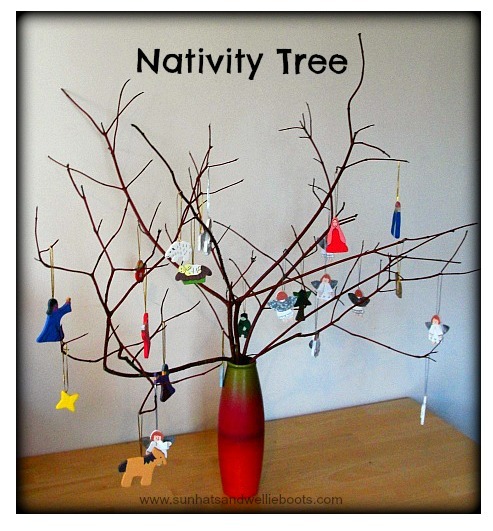 Use the Nativity as a focus for your Advent Countdown. Discover key parts of the story as you countdown to Christmas Day.